Born in 1977 in Beirut, Tala Atrouni found her love for art at a young age. She grew up admiring her father’s skill in calligraphy, poetry and drawings, and would keep herself busy colouring with crayons every chance she got. Despite the lack of formal art training in high school, she’s flourished as a natural talent whose life experiences have driven her to rise above the challenges, and pursue her passion for art. She is now on her way to becoming one of the most treasured artists in the Middle East. Tala’s family fled Palestine to Lebanon in 1948 and they were fortunate enough not to live in the camps. Her grandfather, a carpenter, set up a successful family business, designing high-end interior décor. 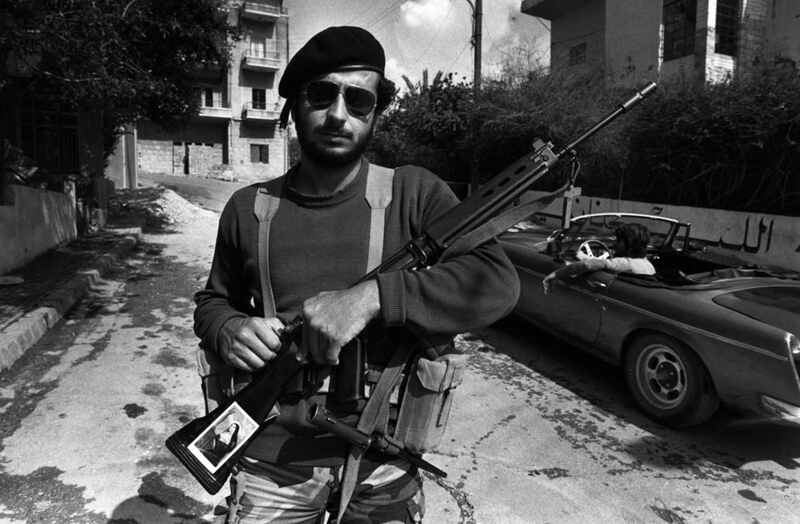 But when the Lebanese civil war began, they found themselves embroiled in yet another catastrophe. Tala remembers the 1982 Israeli invasion of Lebanon. It’s difficult to talk about. Being a Palestinian during the civil war was terrifying. We heard stories of Palestinians being kidnapped and killed, including my mother’s cousin who was murdered and thrown in the garbage. When the bombs were hammering, Tala and her family took refuge at the German Embassy. There Tala remembers keeping busy with arts and crafts. I was young and didn’t fully understand what was happening but I remember enjoying passing time immersed in art. 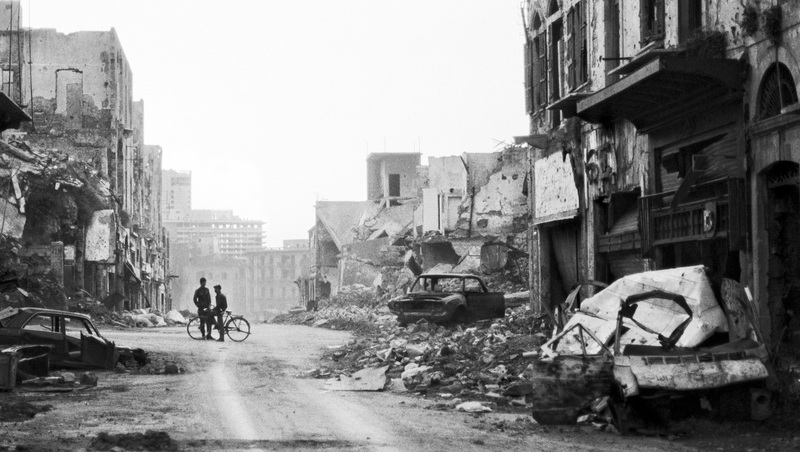 When the situation subsided, they returned home to find it had been bombed and completely destroyed. Our balcony was all over the street. When we entered the house, we were devastated to see what had happened. My father was heartbroken, there was very little we could take with us and unfortunately all my childhood photos were also destroyed. Like many who grew up during the Lebanese civil war, the trauma is embedded in Tala’s mind. I would never want my children to experience war. I am grateful to my parents for being so positive, despite the sadness around us. They tried their best to remain cheerful and make us laugh. My parents always told us to accept the past and not live the drama, that we should transcend from our pain and do better. As the war continued, her parents had the opportunity to move to Sweden for a better life, but Tala’s mom insisted they stay in the Arab world, to preserve their roots. Despite all the hardship she witnessed, Tala found refuge in her paintings. Tala enrolled in the school of fine arts at the Lebanese American University in Beirut. Her father was concerned about her choice and encouraged her to enrolled in advertising so that she would earn a minor degree in the field and improve her chances of finding a job. She earned her bachelor’s degree in 1998 with an award of excellence in the art of painting and sculpture. After she met her husband, they moved to San Francisco, California. There, she worked in the high-tech industry for three years as a publishing team leader, when she decided to continue her graduate studies and pursue a future in art. She attended the Academy of Arts University in San Francisco. In August 2005, she graduated with an MFA degree in illustration. Tala and her husband made the conscious decision to move back to the Middle East and settle in the Gulf for their children. Hardship hit home again when Tala lost her mother in a tragic car accident. Her father heartbroken from the tragedy and passed away only few months later. It was a wakeup call for me. I had to accept what had happened and painting helped me with my grief and gave me peace. Tala had her first successful solo exhibition in Muscat and was honored by the French and Lebanese Ambassador who inaugurated the event. Today, Tala is based in Abu Dhabi and continues to express herself through her beautiful paintings. I gain inspiration from different artists. I love to paint abstract but at the moment I’m turning towards a more minimalist style, perhaps because we live in such a hectic time, where we are so busy, and we need a break. In the painting you can find peace and serenity. I love how colours interact with each other, I find it totally exhilarating.